Brittany K. Johnson has quickly become a valued resource for Somach Simmons & Dunn’s water quality and water litigation clients. She works directly with clients providing general legal advice on public agency matters, renewing water quality permits, helping to maintain permit compliance, and litigating water issues. She works with public entities on the renewal of Clean Water Act permits for publicly owned wastewater treatment plants. Outside of permit renewal, she helps treatment plants with compliance issues and addresses problems that occur, helping them to avoid permit violations. Brittany is well-versed in litigating disputes that arise from the management and implementation of water rights. She works with clients with water rights in California, Arizona, and Texas and has experience helping to litigate issues involving the operation and management of the Sacramento River and the Colorado River. Her client work requires her to be adept at balancing a multitude of state and federal issues that impact water rights holders and contractors, including the Endangered Species Act, National Environmental Policy Act, and reclamation law. 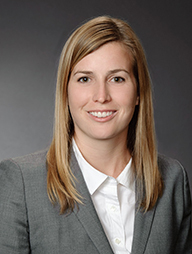 Prior to practicing natural resources law and litigation, Brittany served as a law clerk to the Honorable Laura D. Millman at the U.S. Court of Federal Claims, Office of Special Masters, where she had the unique experience of working on Vaccine Act claims—an experience that required her to not only understand the substantive issues involved but to deal with a wide range of people as they navigated the court system. A native of Arizona, Brittany spends her time outside of work running and cycling on the trails in Sacramento and finding other outdoor adventures in Northern California. Assist in representation of State of Texas in Original Action No. 141 before United States Supreme Court regarding interpretation and enforcement of the Rio Grande Compact, including successfully defending the State of New Mexico’s motion to dismiss Texas’s Complaint. Represent Glenn-Colusa Irrigation District and other Sacramento River Settlement Contractors in defense of federal district court lawsuit brought by environmental organizations challenging long-term water rights settlement contract renewals under the federal Endangered Species Act. Represent numerous water right permit and license holders, including irrigation districts, Central Valley Project contractors, and their representative associations, in Northern California Water Association v. State Water Resources Control Board, the long-running litigation challenging the State Water Resources Control Board’s water right fees scheme. Represent irrigation district and growers in federal litigation challenging the management of historical agricultural lands in national wildlife refuges in the Klamath Reclamation Project. Advise Colorado River water contractor in Arizona on Colorado River management issues, including planning actions under the 2007 Guidelines, Arizona v. California Consolidated Decree, and other Law of the River authorities. Advise POTWs in evaluating, negotiating, and obtaining NPDES permits issued by regional water quality control boards. Provide regulatory advice and develop comments for POTWs in state water quality control planning processes. Represent POTWs in litigation of NPDES permit requirements. Provide ongoing regulatory and legal advice to POTWs. Advise state power authority in 50-year allocation of Hoover power within the state. Advise state power authority and negotiate 50-year contract with Western Area Power Administration. Advise electric cooperative on regulatory compliance and property matters. Advise cities in evaluating development of hydropower projects and FERC licensing process. Presenter, “Water and Power at Hoover Dam – New 50-Year Contracts in Arizona, California, and Nevada,” Western Water Law Conference, San Diego, CA, February 8, 2017. Presenter, “Post-2017 Hoover Power Contracting: Managing Risk and Resolving Other Challenges with a 50-Year Contract,” APPA Legal & Regulatory Conference, Long Beach, CA, October 17, 2016. Presenter, “Managing Sacramento River Water Supplies for Agriculture and Multiple Beneficial Uses,” California Water Law & Policy Conference, San Francisco, CA, June 14, 2016. Presenter, “Post-2017 Hoover Power Contracting: Managing Risk and Resolving Other Challenges with a Fifty-Year Contract,” Western Conference of Public Service Commissioners, Lake Tahoe, NV, May 23, 2016. Sacramento County Bar Association, Environmental Law Section, 2013-present. Association of Women in Water, Energy, and Environment, Regional Team Member, 2016-present. Junior League of Sacramento, Member, 2015-2017.